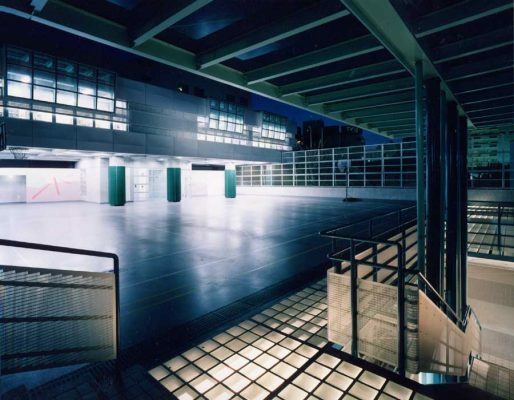 We have little information about the LFJT – Lycée Franco-Japonais de Tokyo (the French international school in Tokyo, Japan) but note that it exploits the translucent qualities provided by glass blocks. These blocks appear to be used as a floor / ceiling element to provide natural lighting to the space below, and at night to allow lighting to prevade into the upper space. Descriptions of this builidng are very welcome if readers have visited it or know the project. albert abut architecture are a Japanese design studio based in Minato-ku, Tokyo, Japan.